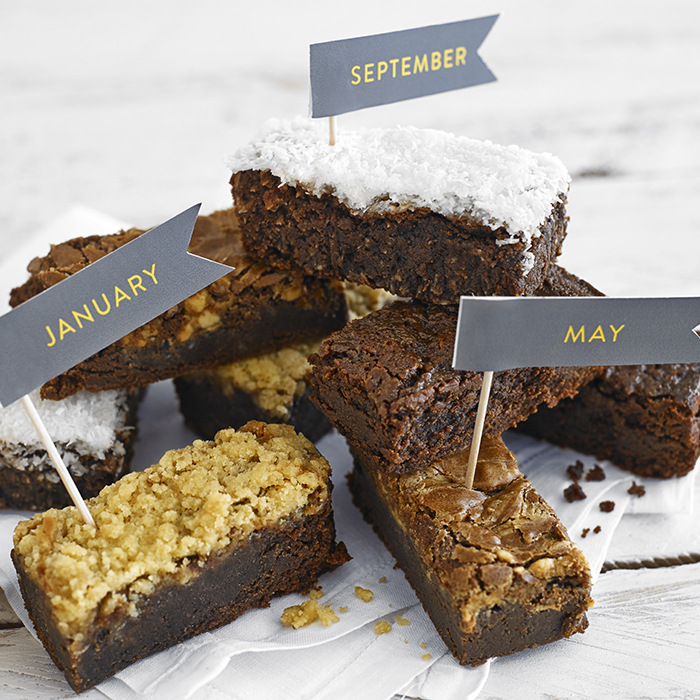 Why send somebody you care about just one box of delicious treats, when they could receive one each month? Simply choose the box size (Tea for Two or Tea for Four) and duration (3, 6 or 12 months) and the lucky recipient will receive a box of delicious treats for each month. 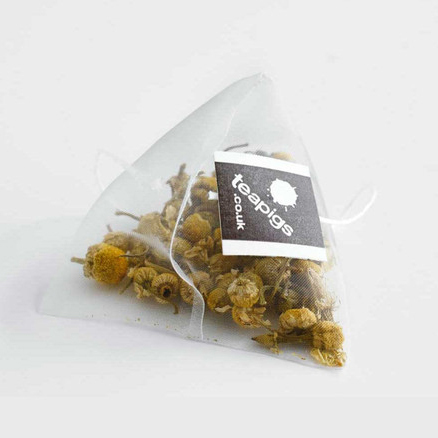 The 'Tea For Two' contains 2 bakes, 2 Teapigs tea temples and 2 sugar swizzle sticks with each bake being matched to a Teapigs tea temple that complements its flavour. If you would like to double up on the goods then select the 'Tea For Four' box size. One salted caramel brownie with an everyday brew tea temple & one honeycomb brownie with a everyday brew tea temple. One white & one brown sugar swizzle stick. 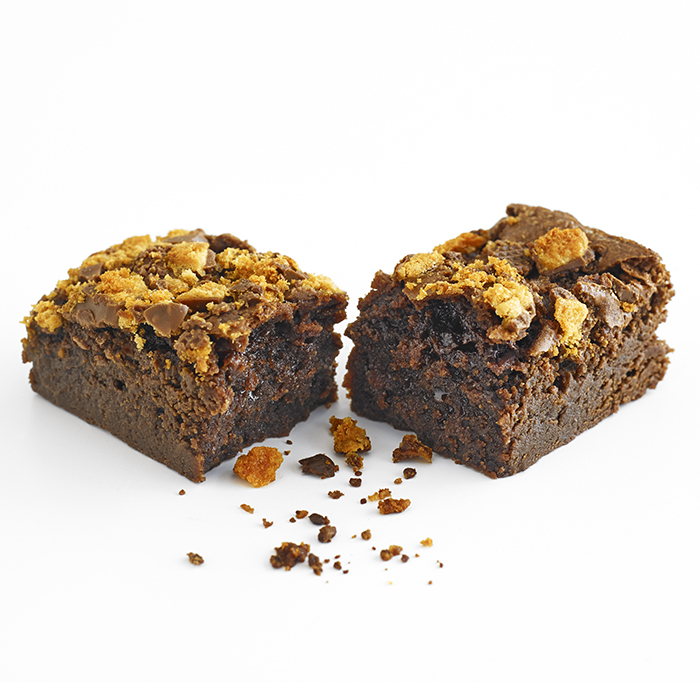 One salted caramel brownie, oreo brownie, peanut butter brownie, honeycomb brownie & four everyday brew tea temples. Two white & two brown sugar swizzle sticks. The bakes, tea temples and swizzle sticks are presented in a luxury box. Everything is hand wrapped and packed and placed in the box so it will be perfectly presented when opened. There is a personalised greeting card inside. Allergy information: All products contain nuts, wheat, eggs, soy and milk. They are made with equipment that also makes products containing nuts and wheat. Storage conditions: Store in a cool dry place. Keep out of direct sunlight. 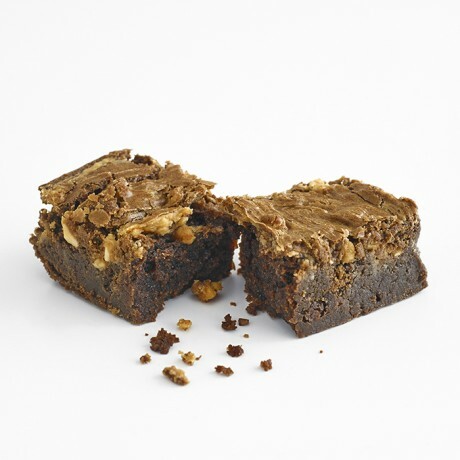 Peanut Butter brownie: Caster sugar, dark chocolate (cocoa mass, sugar, cocoa butter, emulsifier, soy lecithin, flavouring (natural vanilla), butter, eggs, flour, peanut butter (roasted peanuts (95%), brown cane sugar, palm oil, sea salt). Salted Caramel brownie: Caster sugar, dark chocolate (cocoa mass, sugar, cocoa butter, emulsifier, soy lecithin, flavouring (natural vanilla), butter, eggs, flour, double cream, light brown sugar, golden syrup, salt. Our products contain dairy, eggs, nuts, wheat and soy.